The Boathouse has a New Name !!! 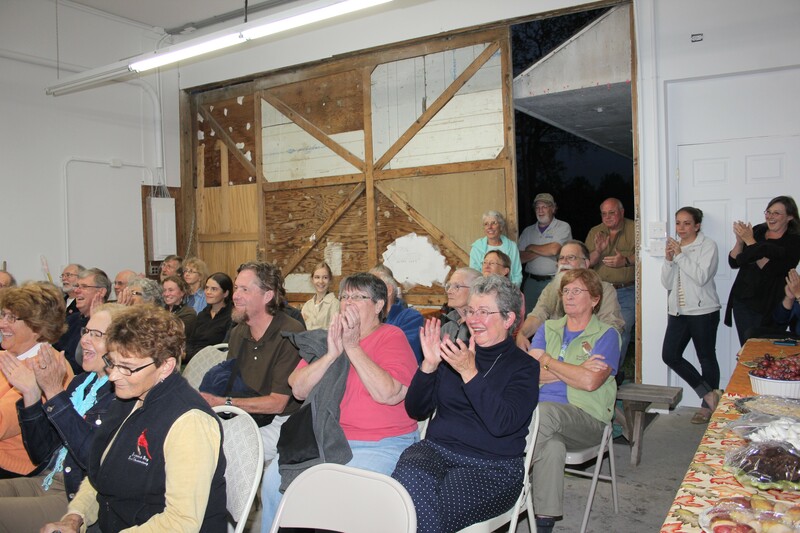 Andrea Patterson	Events, Renovation Updates	Comments Off on The Boathouse has a New Name !!! Sarah prepares for her talk. The talk was well attended, interesting, and engaging . . . and it was all a cover. We all know what’s about to happen . . . but Betsy has no idea!!! 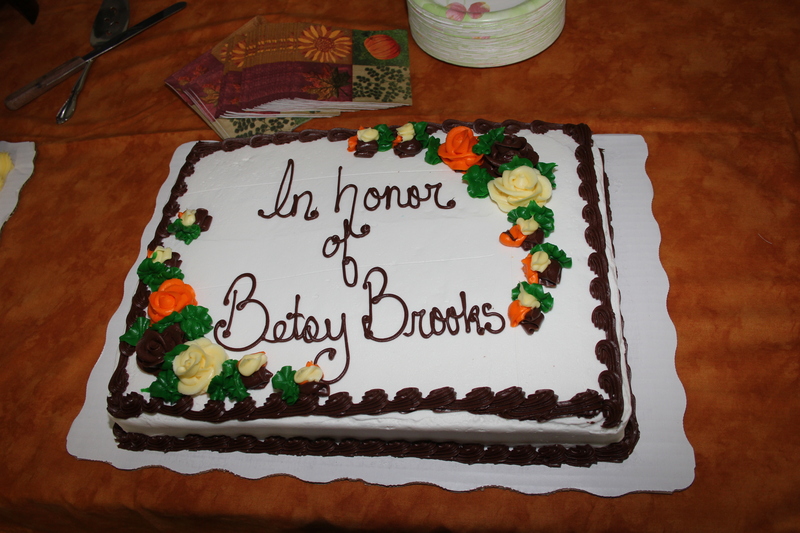 The real purpose of the evening was to honor our own Betsy Brooks. Betsy was instrumental in the founding of our station almost 30 years ago. She laughingly tells each Bander Training Class how local banders used to come up to the area and band on their own schedules with their own equipment. They banded on top of an overturned dumpster and weighed the birds in a glassed-in chemistry balance. Betsy notes that bush-crashing was common (a strict no-no today!). Eventually, these intrepid pioneers finally decided to coordinate their efforts. They haggled over every point of protocol and gave us the guidelines that we still largely follow today. Betsy has been guiding BBBO ever since, and the station would not be what it is without her. 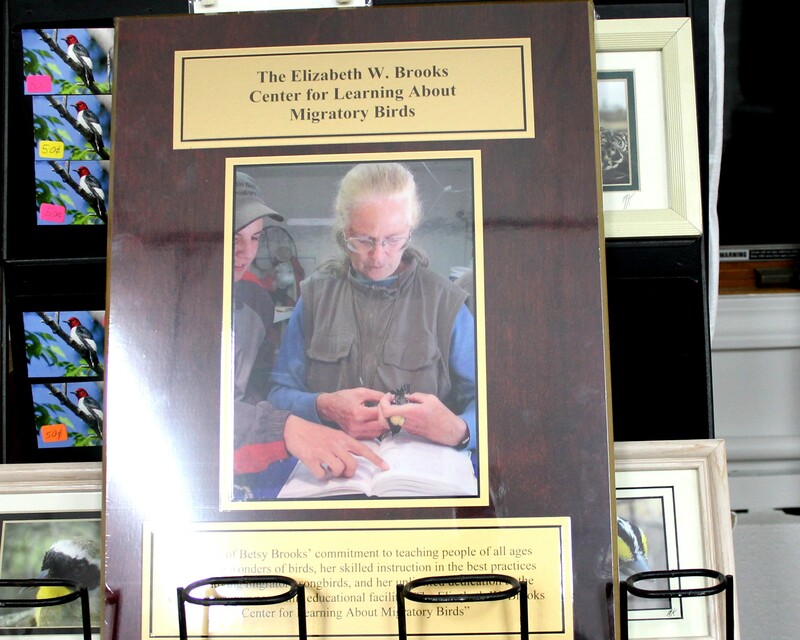 BBBO’s mission states that we are dedicated to research, education and conservation. While Betsy has her hand in all three, her commitment to education is nationally recognized. 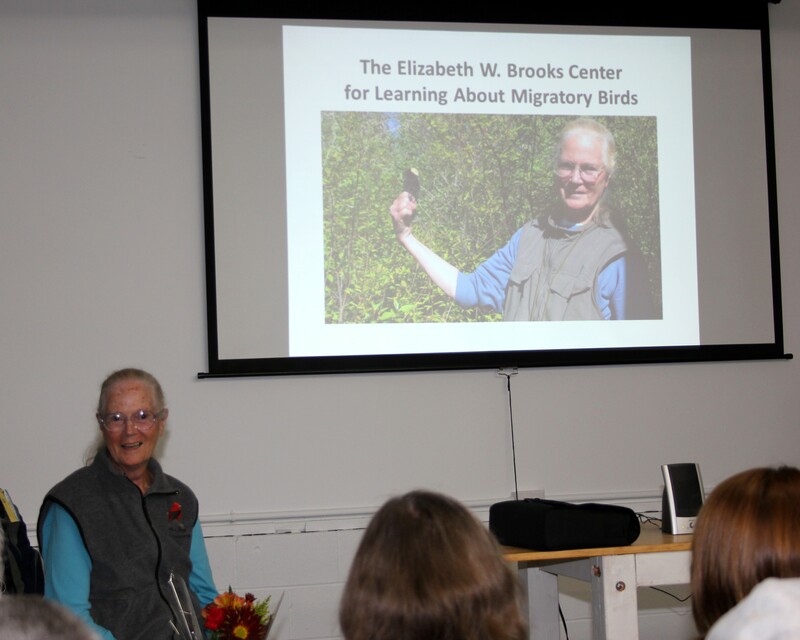 She welcomes several school groups ranging from pre-school through college to the station each season; visitors include several homeschool networks, the Hannaford Career Center in Vermont, and a half dozen local colleges and universities. 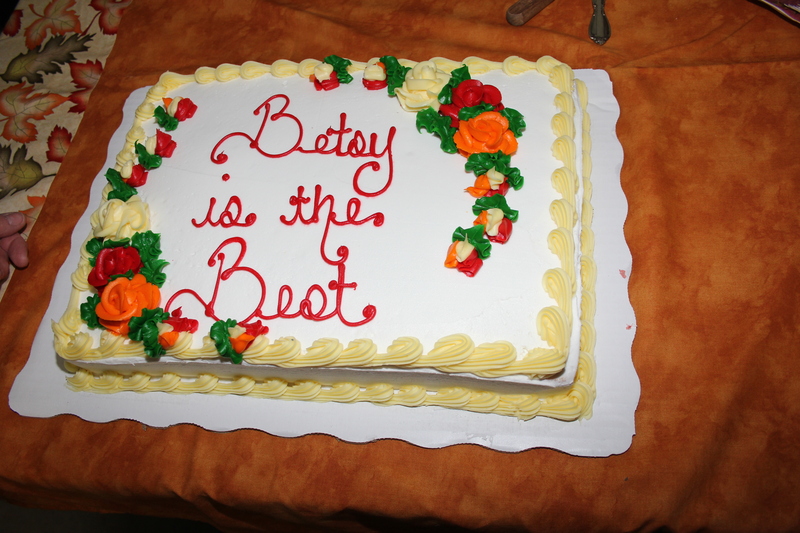 Betsy has taught a Bander Training Course to nearly 200 students, and has informally educated dozens more. Her courses routinely fill months ahead of time and often have a waitlist long enough to fill a second class. She has held several North American Banding Council (NABC) certification sessions, which are intended to inspire banders to excellence. In 2011, Betsy received the NABC Fleming Award, which recognizes her contributions to bander training and development. 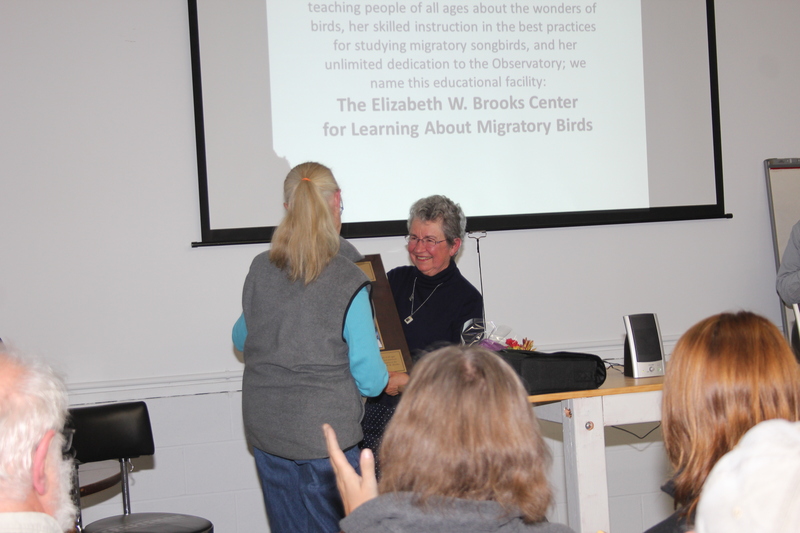 Betsy receives her dedication plaque from board member Chita McKinney. Have we embarrassed Betsy enough yet??? 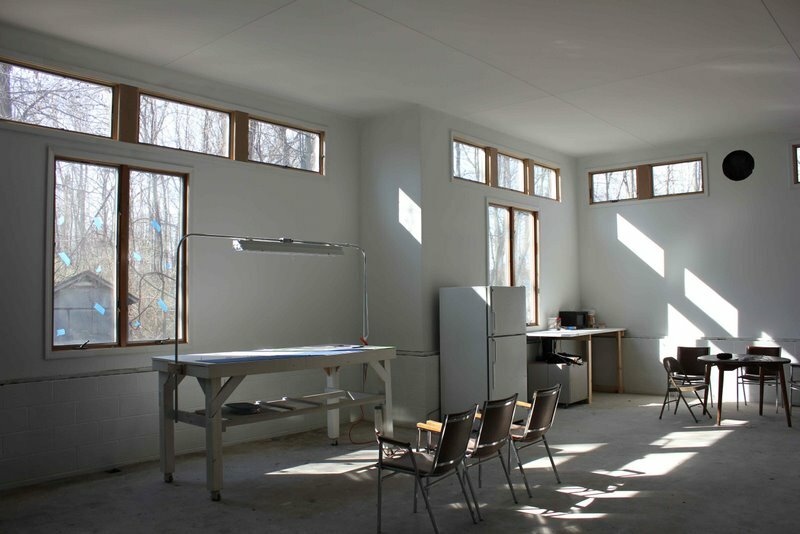 This space is already being used for classes, and we envision it being used for events and public lectures as well. 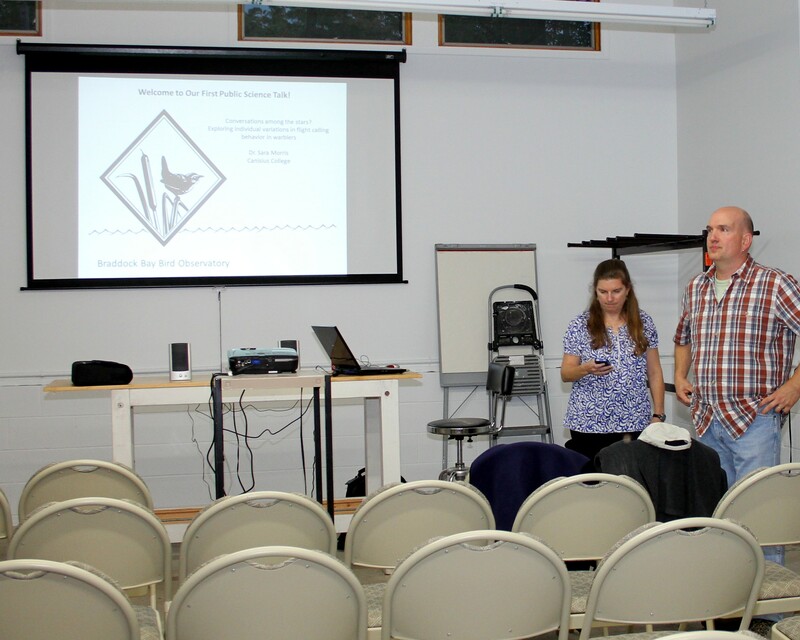 We hope Dr. Morris’s talk will be the first of many! In time, we hope to have educational and interactive displays and posters lining the walls, so that both children and adults can learn more about migration. Thanks much to the Board of Directors for putting together such a fantastic event, to Sara Morris for being a good sport and a great speaker, to Marilyn Guenther and her crew of cooks for all of our goodies, to Kathy Habgood for all the photos, to everyone who attended, to the 50 or so people who managed to keep this all a secret from Betsy, and most of all to Betsy. 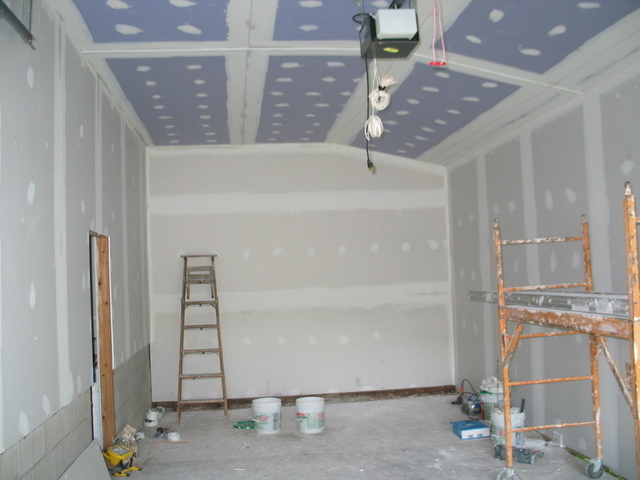 The interior of the garage at the banding station, soon to be our research room, has finished walls and ceilings; the electric will come in next week. Even the gap between the floor and the outside wall has been filled. 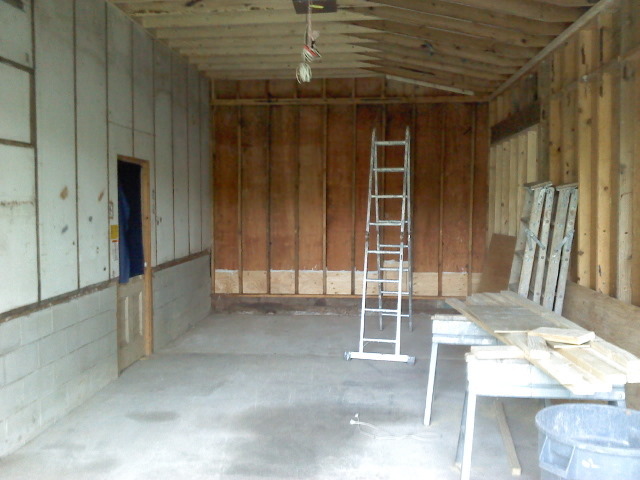 The drywall in installed in the garage. 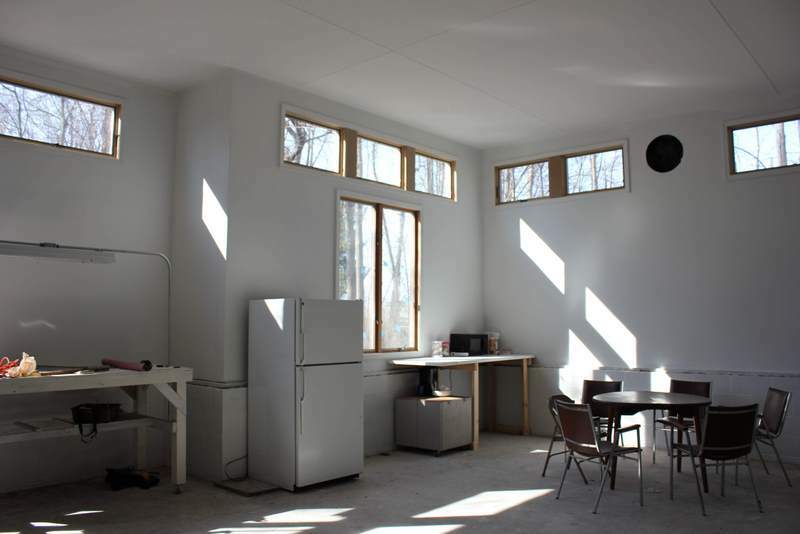 Note the flat section of ceiling that was created – this will leave an air space for ventilation. Two turbine fans on top will draw hot air up through soffit vents to help keep the garage cooler. 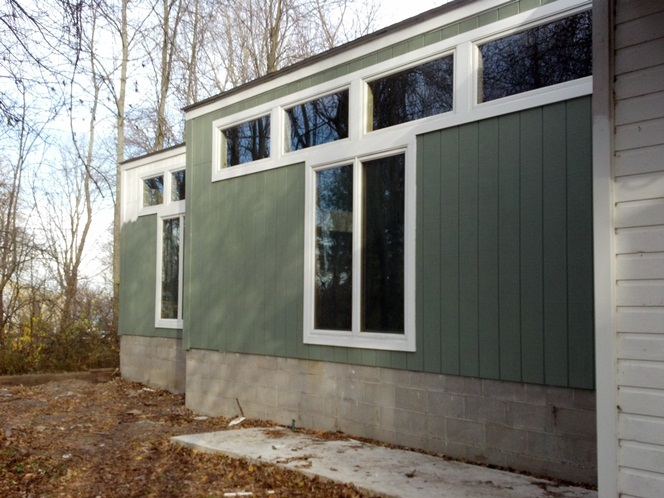 The rotted portion of the exterior wall has been replaced. There is still a space between the wall and the floor that will be filled with concrete. brookser	Renovation Updates	Comments Off on Garage Renovations!!!!! The construction crew is now working on the garage renovations. They cut away the bottom of the outside wall today, because it had rotted out! 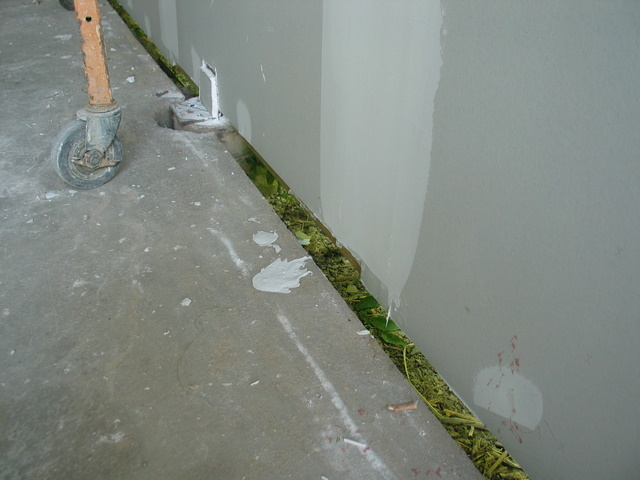 Bottom of the Outside Wall Cut Away! Kelly, Andrea and Lyn took advantage of possibly the last warm day of the fall and got 90% of the painting done on the west wall. Kevin and Kelly will go back tomorrow to get the last bit finished, some of which can only be reached by standing on the roof! We were pretty happy with the color and we got a lot of coverage out of the paint.